Why Refinish Rather Than Replace? In this article, we’re going to take a look into the variables that contribute to the cost of refinishing your hardwood floors, and compares that price to what you’d pay for a new installation or similar alternative. Tired looking, old hardwood floors can become quite the eyesore to those who have them in their homes. Damage and blemishes can accrue in the surface, resulting in a floor that appears worn and shoddy. However, there are plenty of ways to return your expensive hardwood flooring to its former glory without having to replace it entirely. For a fraction of the overall price, you can find a professional who will be able to use color treatments, add a new seal and sand down the wood to revitalize it completely. By refinishing the material, your floor can wind up looking like a brand new finished product. Compared to a completely new installation, the price of refinishing your current hardwood floors can be much more affordable. It’s natural to expect that where you live will have an effect on the price you end up paying. Some areas where refinished flooring might not be in as high demand, will likely be willing to provide the service at a lower cost. Meanwhile, in larger areas, the cost is likely to be higher. Make sure that you take into consideration your location while shopping for contractors to do the job. That way, you’ll be more likely to have the right amount of funds to cover the cost right away. Otherwise, you may have to wait a little longer to get some extra money together. The factor of room size applies to the overall cost in a different way than you might expect. While with new flooring installations, the cost is often lower for smaller rooms, the opposite is true when it comes to refinishing. As a result, that’s a factor worth considering for the space you want refinished. 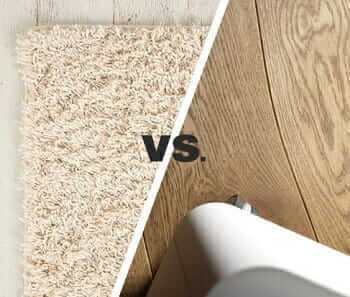 The reason for this difference is that when installing a new floor, you have to pay for each square foot. However, the equipment required for refinishing your flooring is often large. Consequently, it’s going to require more effort and possibly more time to complete the process in a smaller space. Another aspect to keep in mind is that organization can also factor into the cost. This is particularly true if you can’t handle that process yourself. To begin with, any furniture or other pieces sitting on the flooring you want refinished will have to be moved somewhere else. If you can move all the furniture yourself, that can help to cut down on costs. However, you may need to consider whether you’ll have to pay for a temporary storage space for that furniture. Not everyone will have room in the rest of their home to keep the extra furniture very easily. There can be a lot of mess in a space where the refinishing process is being going on. As a result, you may want to talk to potential contractors before selecting one. That will allow you to see if they will be willing to handle the cleanup after the job, and how much that added benefit will cost. It’s best to not assume that a contractor will handle that aspect, as they sometimes will leave it to you. If that’s the case, then you can opt to save money and do your own cleanup. Otherwise, you can hire another company to handle that. It’s largely going to be up to you and your personal preferences. Just make sure that they use the best hardwood floor vacuum in the market today. There are a number of companies out there that will be willing to do your floor refinishing. However, the cost can vary greatly depending on how well known the company is. As you shop around, it’s worth keeping in mind that you may stumble on lesser-known companies willing to do the job at a lower cost. However, it’s more likely that getting the service cheaply will result in more problems than benefits. Therefore, it’s wise to find a balance between company reputation and cost. If you can afford a higher cost for a company with a lot of positive reviews and experiences, then it’s almost always going to be worthwhile. However, that choice is one that is ultimately up to you as a customer. This is a variable that comes into play when refinishing hardwood that is underneath another type of flooring. While it can be convenient to have the option to uncover and refinish the hardwood flooring, the removal of the top flooring can add to the cost overall. Consequently, you’ll want to add in that variable when you’re thinking about the cost of refinishing your flooring. It is still likely to be less expensive than adding in a completely new floor. That said, the cost difference may be less if you have an especially difficult flooring to be removed first. There are a couple of aspects to keep in mind when it comes to the thickness of your hardwood flooring. The first is taking into consideration when it was initially installed and the thickness at that time. Additionally, you may want to think about how many times it has been refinished since then. As long as there is at least ¾ of an inch left to the flooring, you should be fine. However, if there is less than that then you may want to consider a new hardwood flooring. 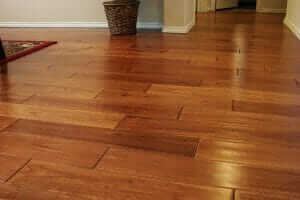 The good news is, it can take hardwood floor a long time to wear down far enough for the thickness to become a problem. Not only is there a lot of mess that goes into refinishing a hardwood floor, but there can also be a lot of unpleasant smells. Things like stains, finishes and sometimes even color treatments can be very strong-smelling, and the process overall can be quite loud. As a result, you may want to steer clear of the space while the job is in process. If you can, stay in rooms farther away from the action. If that’s not a possibility, you may want to consider staying somewhere else during the process. Who knows, it could be a good excuse for a vacation! This is another aspect to consider that depends on where you live. If you live in a dry climate, then this is unlikely to be much of a problem. However, if you live somewhere more humid then it can take extra time for the process to be completed. Largely, this is due to the extra time it can take for various stains and other products used to dry. In some cases, you may have to allow the room to sit for several days. That allows it to have time to dry completely. One of the first aspects you’re likely to take a look into is the price of refinishing your floors versus the price of having new hardwood flooring. There is quite a big pricing difference. 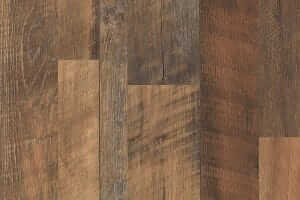 New hardwood flooring can begin at about $8 for each square foot, and it tends to increase from that point. 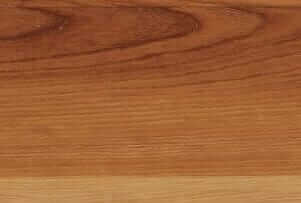 On the other hand, refinishing your hardwood flooring can start at about $1.50 for each square foot. It can also range up to about $5. This can really depend on the company you choose, where you live and the size of the space as well as other factors that may contribute to your overall cost. As you might expect, there can be some prep work that can go into refinishing a floor. If there is damage to any of the flooring, it’s likely to need to be repaired. Otherwise, a good cleaning is an absolute necessity before the process can begin. If you can do any of those preparation processes yourself, it can help to save money. However, there are some aspects the contractor will need to do themselves to ensure the best results for the finished product. Naturally, if you’re hiring a contractor to do the work then you should expect to pay for the labor involved in the process. That is a cost you can cut down on if you’re willing to try to do the work yourself, but that is only a good option if you have experience with refinishing hardwood. Otherwise, you’ll be able to get an estimate from the potential contractors you meet with, which will allow you to make the pricing choice from there. Depending on the company you choose to go with, the cost of labor may be higher or lower than average. This is the part of the process that comes after sanding, in which a stain is applied to the wood. Consequently, the wood can be strengthened and look better after the staining has been added. This process can also include some color changes or additions if you choose to apply them. If you have a decent amount of knowledge about staining, this is a part you can do yourself. Make sure to look into it and discuss the possibility with any contractor to see if it’s something you may choose to do in order to save money. 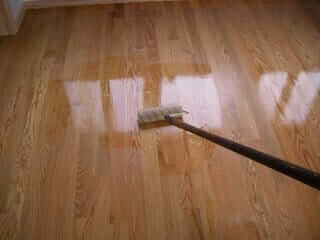 Sanding is really the most necessary process for refinishing a hardwood floor. In this process, any scratches, scuffs or blemishes can disappear with a good sanding. This in turn reveals a fresh, great looking floor that does a great job adding to the overall look. The ideal process would sand away as little of the flooring as is necessary for removing any of the eyesores that exist on the surface. Depending on the kind of damage on the flooring, the amount that is sanded off can vary. It’s just another reason why it’s a good idea to maintain hardwood carefully. Once the floor has been sanded down and stained, it’s important to make sure it’s sealed up with a finishing coat to really make sure the hardwood is protected. These layers are typically invisible, but create a layer that will keep the wood from becoming scratched or scuffed as easily. After that final coat, the flooring will just need to dry completely and it will be ready for use again. At that point, you can ask the contractors for any care tips they may have to offer. Aside from that, the floor will be ready at that point. There are plenty of benefits you can get from refinishing your hardwood flooring. The first is that it greatly improved the overall look and feel of your floor, bringing new life to what otherwise might be very rough. On top of that, it can save you money over a new flooring altogether. If you’re improving hardwood that was under another flooring, then the reappearance and care of that hardwood can help add to the value of your home. Overall, that is a great way to improve your home with a new look as well as a greater level of value. For those who are absolutely intent on saving as much money as possible, then it is possible to refinish your hardwood floors on your own. Keep in mind that if you don’t have the equipment to get the job done, you may need to rent it, which can add a little bit to the cost. Most importantly, it’s a good idea to make sure that you go through each aspect of the cost to see where you can save money and where you would prefer to opt for professional help. There are a lot of possibilities that can help you to get the gorgeous flooring you need. Most of the time, replacing hardwood floors rather than refinishing them can appear to be the most suitable method. However, there are a number of instances when you may opt to save your money and refinish them instead. You’re also likely to find that refinishing your hardwood floors can come with a lot of benefits. Continue on to learn about these benefits as well as when replacing the floors might be the better option. If your hardwood flooring is still relatively new, it’s not likely that replacing the floors entirely will be worth the price. There’s still likely to be a lot of viable wood available in the floors you already have and spending the time and money on putting in entirely new floors can be a waste. If your floor is very old, then replacing them may be a good idea. Look closely into how old they are, how much damage they have and how many times they may have been refinished before. 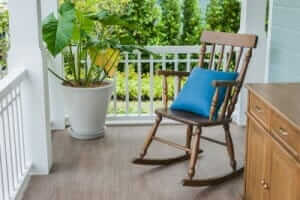 Many are aware that replacing hardwood flooring can get very expensive. As a result, it’s a good idea for most to at least consider refinishing before making that choice. You can keep a lot of money in your pocket by opting to have the flooring refinished rather than replaced. Many find that they can save anywhere from $2,000 to $4,000 by refinishing, which is a lot to save or spend on something else! It’s also wise to think about the quality of the flooring you have installed. If it’s a cheap, pre-fabricated option then getting a new flooring can be a good idea. However, if you spent the time and effort on getting real wood floors of a higher quality, it’s best to make them last as long as you can. The difference here is that real wood can last a long time, while pre-fabricated options are likely to wear out more quickly. If the flooring you have installed isn’t already eco-friendly, then replacing it with an option that is can be a good idea. Things like bamboo can be excellent eco-friendly options that are well worth the replacement price. However, keep in mind that if you already have flooring that isn’t eco-friendly, throwing it away isn’t going to change that. If you can wait until your current flooring is very old and in need of replacing anyway, that’s the best choice. Some kinds of damage, refinishing can take care of. Things like scratches and scuffs can be cleared away without too much trouble. However, things like water damage cannot be cured by refinishing. This damage gets into the wood, and can cause it to rot. Consequently, if your flooring has a substantial amount of water damage then you’ll likely want to replace it. Flooring that has been refinished many times can grow thin, which can then lead to it beginning to break down. At some point, the flooring will become too thin to continue to refinish. At this point, it’s time to replace the flooring with something new and healthy. If you can choose something that will last through several more refinishes, it can really help to save money. If you’re new to taking on flooring tasks on your own, then there are some risks of DIY ventures that are important to keep in mind. Not every aspect of the project is going to be a breeze! Causing damage to your flooring is one risk that can be worth remembering. Things like sanding the floor down too far, gouging the flooring and similar issues can result in a more costly experience. You may end up needing to get parts or all of the flooring replaced as a result. Furthermore, there can be larger issues with messes when you do a flooring project yourself than there would be with a professional. It can also end up taking more time, as there’s less experience with that kind of work. You’ll need to make sure to know and follow the complete process well. You can also run the risk of forgetting certain parts of the project, like filling in holes or cracks. There are often specific processes and tasks to do, and it can be easy to forget about them when you don’t do these kinds of projects frequently. If you’re keen on doing the project yourself, then it’s a good idea to familiarize yourself with the process. Take a class, do plenty of research and keep a list of each little step. That way, you’ll be able to do a good job without spending the money on a professional.